Today’s advisers need to act as prudent fiduciaries and ‘stewards’, performing their day-to-day roles in a way that serves the best interests of their clients. 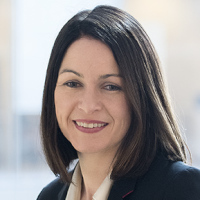 This will increasingly require them to consider environmental, social and governance integration for their clients’ investments, writes Michelle Lacey, head of wholesale at AXA Investment Managers. In order to rebuild consumer trust in the financial services industry, we need to reassess what it means to act in the best interests of clients. As the ‘stewards’ of their clients’ investment portfolios, one effective way financial advisers can fulfil their role is by considering and analysing ESG information as part of investment decision making on behalf of their clients. Many Australians believe the financial services industry has veered off-track when it comes to prioritising the best interests of consumers. Indeed, the Interim Report from the Royal Commission into Misconduct in the Banking, Superannuation and Financial Services Industry found that there have been instances where the industry has failed to deliver on its fiduciary duty, with “the pursuit of short-term profit at the expense of basic standards of honesty” being a major reason why. Now the Australian industry faces unprecedented public scrutiny and must demonstrate its value and rebuild public confidence. For advisers, a key aspect of this is proficient ‘stewardship’ of their clients’ assets over the long-term. The debate around what constitutes acting in the best interests of clients, begs the following question: are financial advisers the owners or stewards of their clients’ investments? Characterising advisers as owners may infer taking a purely short term-driven approach to managing clients’ savings, whereas the notion of stewardship supports the case for broader and longer-term considerations. Traditional financial statement information is inherently short-term, ESG integration means considering and analysing environmental, social and governance information, in addition to traditional sources of information, as part of investment decision making. ESG information can help identify the companies best placed to adapt to tomorrow’s challenges, and therefore assist advisers to deliver superior long-term value for clients. We have all witnessed first-hand how share prices are directly impacted when companies fail to deliver in regard to the environment, society and governance. Prudent advisers who see themselves as stewards, therefore, should be considering ESG dimensions. Research from the Responsible Investment Association of Australasia (RIAA) also supports advisers taking the approach of complementing traditional financial analysis with the long-term lens provided by ESG integration. According to RIAA, responsible investing is continuing its upward trajectory and now makes up the majority of the overall investment market in Australia, comprising $866 billion of assets, or 55.5 per cent of all assets professionally managed in 2017. There is also a growing expectation that advisers will invest their clients’ savings in a way that ideally provides lasting societal benefit, without circumventing the risk and reward profile. For example, nine out of ten Australians want their money invested responsibly and ethically, and 63 per cent of Australians expect their adviser to incorporate their personal values or consider ESG impacts of their investments. There is also global momentum for establishing frameworks and disclosure obligations around sustainable finance and responsible investing. In May 2018, for example, the European Commission proposed the implementation of a unified classification system on what can be considered an environmentally sustainable economic activity alongside a regulation to ensure that financial advisers integrate ESG into their internal process and disclose this to clients. With legislative change underway in Europe, it’s not unreasonable to anticipate that similar changes could occur in Australia. Given the growing public interest in and appetite for responsible investing both in Australia and internationally, there is an opportunity for advisers to deepen their understanding of ESG. According to the RIAA report, this lack in understanding is stifling the growth of responsible investing in Australia. The report found that the largest factor deterring additional growth was a lack of understanding and advice (48 per cent), followed by lack of public awareness (39 per cent). RIAA’s Financial Adviser Guide to Responsible Investment was developed with this in mind and aims to demystify responsible investing, to assist advisers to meet the evolving financial needs of their clients. Financial advisers have always had a fiduciary duty to act at all times for their sole benefit and interests of their clients. Now there is a greater onus on our industry to clearly demonstrate this. One way advisers can deliver the best outcomes for clients in the long term and fulfil their role as stewards is by adopting ESG-integrated approaches to investing.